If you are applying for a class A or D driver's licence, then this book is for you. This guide, with the Official Driver's Handbook, provides the information you need to know that's expected of you during a driving test. 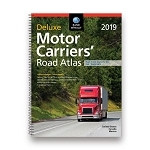 Published by the Government of Ontario, it's the only official handbook for truck drivers.